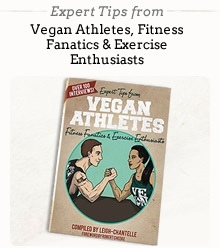 I became vegan in late 2007. The trigger was a two-minute video from Animals Australia, with the title "In defence of mothers", showing sow stalls used in the pig meat industry. The video opened my eyes to the fact that there was something very wrong in the use of animals as food. I had found it via the website of Vegetarian Victoria (then known as “Vegetarian Network Victoria” or “VNV”), which had appeared in a Google search for vegetarian recipes. I was not vegetarian at the time, but liked to cook vegetarian meals when my turn came to be the family chef. Vegetarian Victoria turned out to be a great source of information on the relevant issues, including the impacts of the dairy and egg industries, and other forms of animal exploitation. I suspected that my decision may come as a shock to my family, and felt that a gradual transition may be in order, to be fully implemented by the time of a forthcoming milestone birthday. However, as I read more about the issues, I brought the decision forward, and by then it had changed fundamentally; I was to become vegan. I knew almost nothing about veganism before that time, but Animals Australia’s video had opened my eyes and caused me to investigate the issues. From a physical point of view, it was one of the easiest things I have ever done, and I have not missed meat, fish, dairy or egg products for one second in the eight years since. Nutritional information from Vegetarian Victoria assisted at the time, as did its online forum. That was in the pre-Facebook days (it’s hard to imagine now), and rudimentary communication via the forum with other vegans provided great support. From the VNV site and elsewhere, I also found information on the environmental impacts of animal agriculture. In the same way that I was shocked to realise what we were doing to animals, I was also shocked about the impacts on the planet. Naively, I felt that the only reason others were not concerned about the issues was that they were unaware of them. That view prompted me to write letters to the newspapers. My first letter on livestock and climate change was published in The Age newspaper (Melbourne) in February, 2008, under the heading, “Feeling scared? Eat less meat". I’ve included it at the end of this post. I’ve been fortunate to have had many letters published since then, dealing with animal rights, climate change (including the impact of animal agriculture), and politics. Soon after that letter was published, I wrote to Victoria’s minister for the environment. A member of his department responded, informing me that a summit known as “A climate of opportunity” had been held earlier that year, and that they were inviting submissions in response to the relevant paper. I submitted mine on the deadline of 30th June, 2008. That was followed in September, 2009 by a submission on behalf of VNV in relation to the state government’s green paper on the subject, and another in September 2012 in response to the federal government’s National Food Plan Green Paper. I launched my Terrastendo website in late December, 2012, dealing with animal rights, climate change in general, climate change and animal agriculture, and the health impacts of eating animals. Earlier, in February 2011, I commenced presenting to community groups and others on climate change and the impact of animal agriculture. I often inform the audience at the start of a presentation that I became vegan because of animal cruelty, and that I subsequently learnt of the environmental impacts. I inform them of that background as a form of disclosure, as I would not want anyone to assume that I was talking about the environment as a backdoor way of advocating for animals. I argue that animal rights and the environment are each, in their own right, sufficient justification for adopting a vegan lifestyle. Health benefits can be added to the list. Over the years, I have approached various pro-environment groups about the livestock issue, commencing with the Greens political party in 2008 (Bob Brown, Christine Milne and subsequently Adam Bandt), and progressing through to Australian Youth Climate Coalition, Bill McKibben of 350.org, Environment Victoria, the Climate Commission (and its successor the Climate Council), and others. Their lack of interest is a major concern, and I have written about three of them in the linked articles. Outside the environment movement, I have liaised with Youth Food Movement Australia via Facebook and Twitter. The group “aims to build the skills, knowledge and experience that young people have around food”, but fails to meaningfully inform them of the environmental and cruelty impacts of animal agriculture. Indeed, the group generally praises and interacts closely with the beef industry. 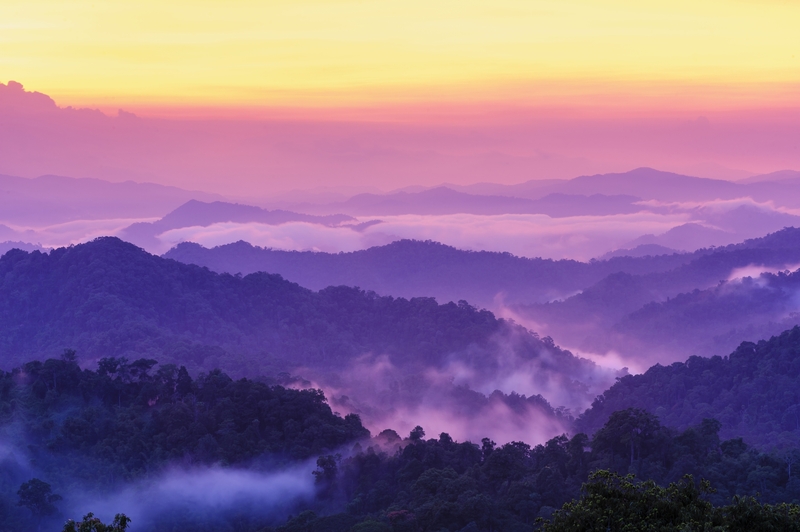 In September, 2015, I attended a presentation by climate change author, Philip Sutton, and asked why he had ignored the issue when one of his key points was the urgent need to draw down atmospheric carbon through deforestation and other means. (Livestock is a critical factor in that regard.) I reminded him that I had asked him the same question at the Breakthrough Summit in June, 2014. I could also have mentioned that I had emailed him in early 2009, and that his two-line response only referred to climate change in general, with no reference to animal agriculture. At the April, 2014 presentation, Sutton responded by saying he realised the issue was important, but did not know enough about it to comment. At the recent presentation, he said that we were not at a point where people would be willing to change. I respect much of Sutton’s work. However, when witnessing a person who has co-authored a leading book on climate change not meaningfully considering the livestock issue, I have felt a sense of frustration and despair. The feeling has been similar in relation to prominent scientist and head of the Climate Council, Tim Flannery. When I asked him and fellow (at the time) climate commissioner, Will Steffen, about the issue at a presentation in April, 2013, Steffen (like Sutton) said that he realised it was important, but the commission had insufficient resources to investigate it. I sent the Commission a detailed email the following day, requesting that it be passed on to Steffen. In her response, a Commission employee stated that Steffen was overseas and unable to respond personally. She said he had asked her to thank me for the references and that the Climate Commission was considering a new report which would comment on agricultural emissions and soil carbon. To my knowledge, no such report was prepared by either the Climate Commission or the Climate Council. The issue is not included in the Council’s latest publication, “Climate Change 2015: Growing Risks, Critical Choices”, which includes a section titled, “Now is the time for strong action on climate change”. In his latest book, "An atmosphere of hope: Searching for solutions to the climate crisis", Flannery highlights potential climate change mitigation measures (which he has labelled the “third way”) with long lead times, while ignoring the enormous mitigation potential that already exists in the form of a general move away from animal agriculture in favour of plant-based nutrition. Some or all of the measures he refers to may have merit, but we need to urgently address the climate crisis, and acting on animal agriculture can provide almost immediate benefits that will increase very significantly over time. He only refers to reforestation in terms of planting more trees, ignoring the massive potential for natural forest regeneration in many parts of the world if we were to cease livestock grazing and feedcrop production. Flannery has previously declared himself to be a “proud eater of flesh”, which he subsequently modified by referring to so-called “sustainably produced” flesh. However, livestock production is not sustainable at the levels that would be required to feed the masses. Like Sutton, Flannery’s “Atmosphere of hope” had the opposite effect to what is implied in the title, by filling me with despair. The despair in relation to Sutton and Flannery has been short-lived, as there is too much to write and say in response to their work and that of others, to allow the feeling to remain for long. Something I have enjoyed over the past couple of years is critiquing and challenging material from Australian meat industry participants in the form of so-called “curriculum guides” for primary and secondary students, along with their responses to the 2014 documentary, “Cowspiracy, the sustainability secret”. In my view, their output does little to support their interests, as I have referred to in the linked articles and elsewhere. 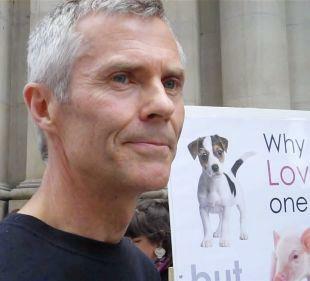 Through Melbourne Pig Save, I have also had the opportunity to advocate directly for animals. Our interaction with the community through social media and at peaceful rallies in Bourke Street Mall, Melbourne, highlights people’s concern for animals, their general lack of knowledge over the abhorrent treatment, and the duplicity of governments and corporations in creating and maintaining a world of make-believe and fairy tales. Those concerns apply equally to the environment, and it is essential that activists fighting for both causes (using former Australian prime minister Gough Whitlam’s words on another issue) “maintain the rage”. I hope to never become a robot or automaton. Paul Mahony is an environmental and animal rights campaigner who is trying to remove what he considers to be blinkers and blindspots in the community, resulting from social, cultural and commercial conditioning. You can find Paul on Twitter, Slideshare, Sribd, Melbourne Pig Save and his own blogging site, Terrastendo. Automaton: (Noun) A moving mechanical device made in imitation of a human being. The image depicts some of the magnificent landscape that we must protect from the catastrophic impacts of land clearing and climate change.